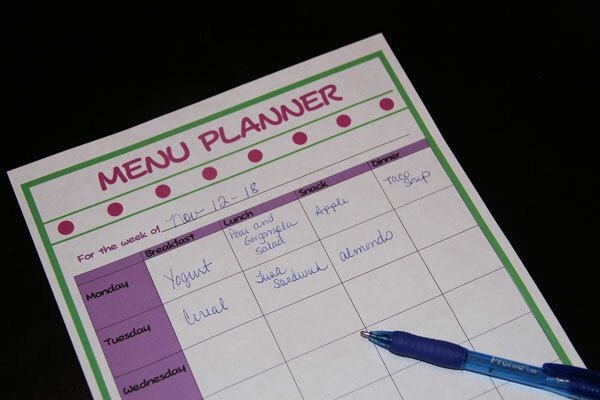 One of my most popular posts since starting this blog has been the menu planner and grocery list downloads. You can read that post here. Because I love playing with photoshop and new fonts, and because I love to change things up a bit, I have created a new version for you to download. You might be able to tell that I am a little smitten with polka-dots since they appear in both versions. I am also totally loving this seafoam blue-green color and have plans this year to use it in updating my living room and dining room. Here is the 2014 grocery list. For the menu planner I decided to go with a two week version since that is typically how I plan our meals anyway. If you would like to download these, just click on the pdf file below and print it out. Hope you enjoy! I have talked many times about my obsession love of lists. See one of those posts here. 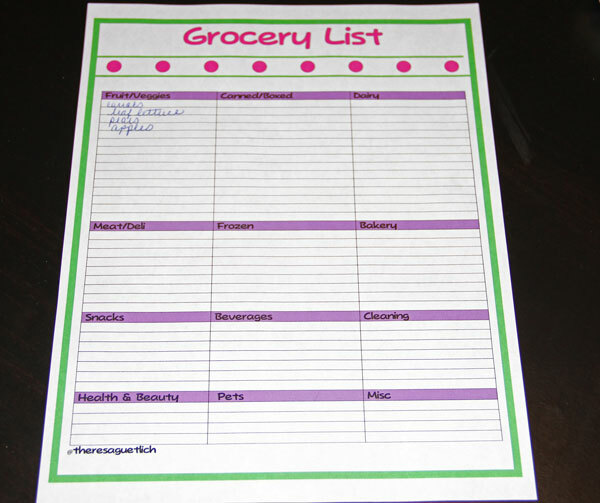 Over the years I have created a few templates that I use over and over such as a grocery list and menu planner. As part of my self-education in Photoshop, I decided to tackle some of the design features and see if I could create something a little more fun and colorful than the standard utilitarian documents I have used for years. I have had a love-hate relationship with Photoshop for the eleven months I have been using it. I mostly love it because of the totally cool things you can do with it, but the complexity and “non-user” friendly aspects of it can be frustrating. It is not a package you can sit down and master in just a few hours. For me, the best way to tackle it has been to attempt new projects so I am always looking for opportunities to use some of the features I have not used in the past. For this project I wanted to play with the design aspects a little more versus the photo editing functionality. In the design world, I would say my project was on the pre-school level, but I definitely learned something new which is always my goal. To top it off I came out with fun new lists to use. Here is my new menu planner. And my new grocery list. 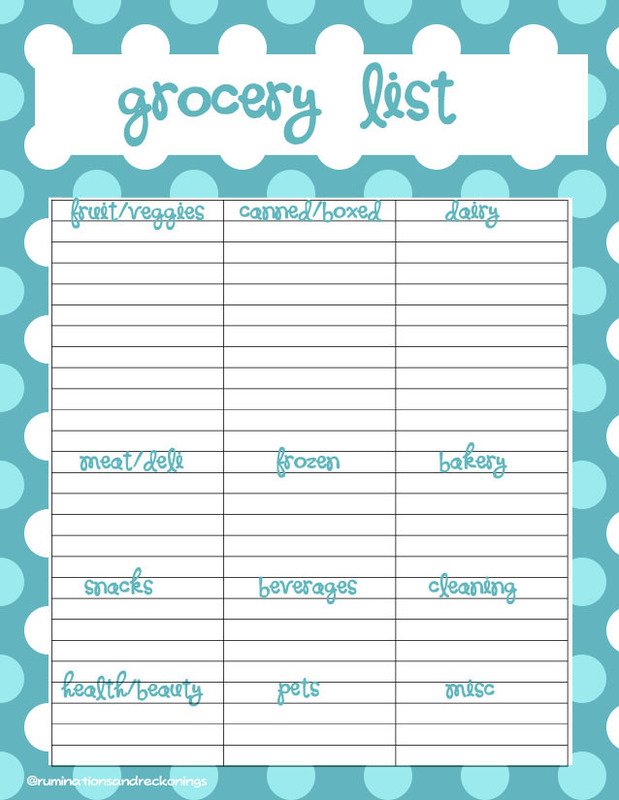 And because I know a few of you out there are list lovers like me, here is a download you can use for your own meal planning and grocery shopping. 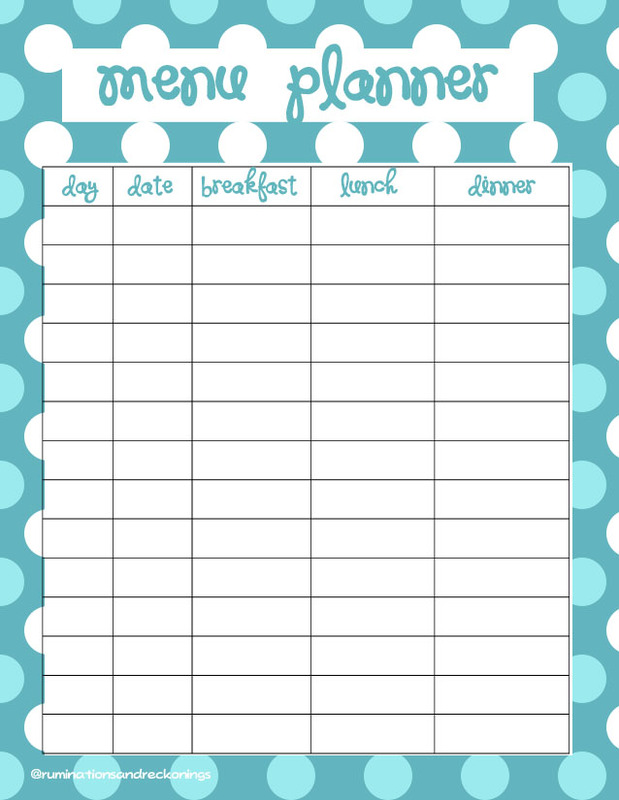 Just open the link below, save, and then print them out each week when you are planning meals and your grocery shopping trip.